ARCHIVED News From The Universe Of Disney As Announced By The Mouse Himself Years 2010 Through 2011. *Coming in Fall 2012 to the Disney Jr. channel is the Happy Hugglemonsters. Developed with the help of the Irish Film Board, it is based on the books by Irish author Niamh Sharkey ‘I’m a Happy Hugglewug’. The show follows five-year-old Henry Hugglemonster, the middle child in a happy but wacky close-knit monster family The Hugglemonsters. The illustration style of the books will be retained with the series’ CG animation. *And for the "Rediculous News of the Month" award, we introduce the objection filed by the Atlanta Braves over Disney/Pixar's trademarking the movie title "Brave" for movie merchandise related to the upcoming film of that title. Really??? *Disney will be formally announcing a brand new princess this week; "Sofia the First". This princess, however, will be the first child princess and will debut as a TV movie and subsequent series. Sofia the First will be aimed at girls in the 2-7 age group and will be featured on both the Disney and Disney Jr. channels. The series will feature "age appropriate" stories focusing on being generous and kind as well as learning topics. I'm sure we'll see a wealth of products to follow but I hope this turns out well and something that my little princess can enjoy. *Disney has finally announced that the long rumored Grand Floridian DVC Villas are in construction. It's reported that there will be 147 Villas, a spacious lobby, children's water play area and more. We should see an opening date in the second half of 2013. *We have updated the aerial photos gallery again with some brand new pictures over Magic kingdom! *As we heard in some buzz earlier, Disney officially stated that there will be a special surprise announcement on New Years Eve as they dubbed 2012 as "The Year of More Magic. I guess we'll have to wait and see. *With an opening anticipated in 2014, construction kicked off for the Four Seasons Resort at Walt Disney World which will feature several dining venues including a rooftop restaurant with views of Magic Kingdom Park; a 14,000 square foot spa; fitness center; three pools and a “lazy river”; sports and recreational facilities; as well as meeting and event space, and a business center. The development will encompass the existing Tom Fazio-designed Osprey Ridge 18-hole championship golf course, which will be renovated and subsequently managed by Four Seasons. The first Four Seasons in Central Florida is located within the Golden Oak residential community, created and master-planned by Disney. *We've posted some brand new Aerial Photos of the Fantasyland Expansion where you can see how fast the construction is moving along. *Hot off the press - Disney Cruise Line announces a brand new show for the Fantasy called "Wishes"! Read all the details and Concept Art here. *The times airing for the "Disney Parks Christmas Day Parade" can be found in the Diz Dates Calandar. Click on Dec.25 for the complete listings. *Disney announced that The Muppets will be joining the Disney Cruise Line with a new interactive game on the Disney Fantasy due to set sail April 2012! Read more in the Disney Cruise Line Updates section. *Today Hong Kong Disneyland has opened its first of 3 new lands! Shrink to the size of a toy in Andy's backyard in Toy Story Land and enjoy new attractions RC Racer, Slinky Dog Spin and Toy Story Soldier Drop! Grizzly Gulch is scheduled to open in 2012 and Mystic Point in 2013. *Tokyo Disneyland just announced that At a cost of 7 Billion Yen, Star Tours 2 will be opening in Spring 2013! The original Star Tours will close April 2, 2012 to begin the refurb. Tokyo's version has 6 simulators each holding 40 passengers. *Several months ago we reported on the RFID Wristband system, PhotoPass Enhancements and more! In the past week, Disney has begun a less secretive test on this system in both EPCOT and Magic Kingdom. New RFID park tickets and RFID stickers for existing tickets are being utilized in a small test area at EPCOT's entry gates utilizing readers similar to the ones in our DizTech report with the addition of a biometric reader. (see photo from Theme Park Review below). Also, Disney has begun testing the Sorcerers of the Magic Kingdom (also covered in DizTech) which is utilizing RFID. Although the wristbands have not been spotted in any wide spread testing, the RFID chips which they will utilize are now in several test programs. *One other bit of news for fans of Jake & The Neverland Pirates, the characters will soon be arriving at Disney Hollywood Studios for meet & greets! Disney Makes A Few Purchases and You Can Drive a Lamborghini! **Disney has purchased the mobile gaming division of UTV Software in a deal worth between 80-100 Million Dollars. **In another transaction, with the blessing of Russia's Prime Minister Putin, Disney purchased 49% of the "Seven Network" and will air Disney shows as well as original Russian content. The channel will be broadcast as "free to air" family channel supported by advertising. It is reported that Disney has paid $300 Million for their 49% stake. **Richard Petty is launching an all-new track driving experience, featuring some of the world's fastest and most exotic supercars at the WDW Speedway January, 2012. See the official Project Exotic website for more details. Art Of Animation Resort Update! **Here's some updated information from Disney regarding the new Art of Animation Resort, with phase 1 scheduled to open May 31, 2012! We also have a brand new areal photo of the construction where you can get a good feel of the progress. Fantasyland and Disney Cruise Line Update! **We've added some brand new areal photos from high above Magic Kingdom's Fantasyland expansion. **Here's a nice big update with concept art for the still in construction DCL Fantasy cruise ship! AVATAR Themed Land Coming to Disney's Animal Kingdom Park! **Disney announced today a “long-term creative partnership with James Cameron’s Lightstorm Entertainment and Fox Filmed Entertainment to bring the fantasy world of AVATAR to life at Disney Parks!” As a replacement for the long awaited “Beastly Kingdom” section of Disney’s Animal Kingdom Park, Imagineering is in the beginning stages of planning this new land! Disney stated that construction will begin in 2013 which should coincide nicely with the 2 planned sequels to the record breaking movie. Look for summer 2015 as a “guestimated” opening date. We’ll have more details as they become available. The Latest News To Come Out Of D23 Expo! **Disney starting to install Custom Gift Card machines where you can select from many designs & print on the spot. Starting at the Magic Kingdom's Town Square Theater. **Pixar Officially announced 2 new movies; one based on Dinosaurs due out in 2013 and the other based on "What goes on inside your head" due in theaters in 2014! **Check out some brand new videos for Disney's California Adventure expansion, Fantasyland Seven Dwarfs Mine Train ride thru rendering and the Aulani resort! **Shanghai Disneyland will be anchored by a Huge castle which will contain a Bibbity Bobbity Boutique, Restaurant and the end sequence of a storybook boat ride! Check out the rendering video below! Here's Some Brand New Arial Photos of WDW Fantasyland Expansion! **Our friend Scott sent in some brand new arial photos of the progress going on in Fantasyland. Part of the new castle wall extension is curently being framed out while major progress on the rock work at both Ariel's Undersea Adventure & Beast's Castle. It's hard to believe that we're now less that a year away from the first phase of the "New Fantasyland" opening! 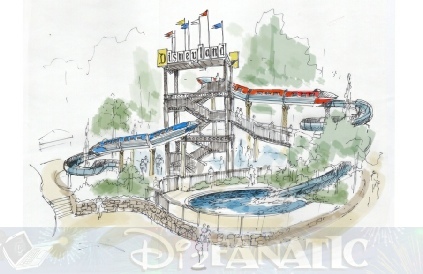 WDW Fantasyland's Little Mermaid Updated Concept Art, Model Photos & Ride Layout! **Here are some brand new images and official logo of WDW Fantasyland's Little Mermaid ride scheduled to open in 2012. Click HERE for the new photos! **Also, Disney announced that this fall, construction will begin on Splitsville in WDW's Downtown Disney. Splitsville will be a 50,000-square-foot upscale entertainment center that combines bowling with billiards, dining, music and nightlife. This will occupy the space currently housing RideMakerz, which will move to the Marketplace. Royal Guest Rooms at Disney’s Port Orleans Resort-Riverside! **Opening in early spring 2012, the Royal Guest Rooms at Disney’s Port Orleans Resort-Riverside allow princes and princesses of all ages to stay where Disney royalty have stayed. Guests find regal touches left behind by some of their favorite Disney characters – fiber optics special effects above ornately decorated beds, gold and crystal accents, custom linens and drapes, and in-room art and details including Princely banners and Princess friends. Star Tours 3D Opens in Walt Disney World! ** After nearly 2 years after the exciting announcement at D23 Expo (and years of rumors) Star Tours "2.0" 3D officially opens today to the public in Walt Disney World! Check out this video showing off the updated attraction. We've also added a video with some highlights of the event that took place at 12:00AM this morning to celebrate the arrival of the new attraction. **SPOILER ALERT** - The video actual HD footage of the many destinations which you can visit during your ride. You won't know which one you will see, so you can ride many times with a different outcome each time! The videos can be seen HERE! You can also watch the grand opening event Live on Disney's Star Tours Facebook page HERE at 10:30AM EST today! ** Disney confirmed that the extended closure of WDW's Tiki Room is in fact being re-worked to be more like the original. (I guess the "New management" has been kicked out). ** The upcoming "Be Our Guest" restaurant will have 3 themed rooms with a total of 550 seats; The Ballroom will be the largest with 300 seats and there will be The Gallery room and the forbidden West Wing. ** "Enchanted Tales with Belle" will be much more than a meet & greet - it is said to be a new type of immersive experience lasting 40 minutes and all guest will take part. **The Seven Dwarfs coaster will be a family style coaster with a newly patented swaying ride vehicle (as reported earlier) and will have 2 "coaster" parts of the ride with a dark ride experience in between. ** Today Disney announced new itineraries for the Disney Magic in 2012. New York & Seattle!! Read all about it HERE! ** Today Disney shows off the progress at the outdoor central area of the resort called "Waikolohe Vally". This area features "Menehune Bridge", a 2,200 square foot children's water play area and the "Rainbow Reef" snorkeling experience where as Disney states: "guests can have close-up experiences with an array of live marine life". There are also 2 water slides under construction and the "Waikolohe Stream" lazy river. Take a look at the Construction Video Here! ** With massive progress being made at Disney California Adventure, Ariel's Undersea Adventure is nearing its opening date. Check out this video of Imagineers programming the new Ursula Animatronic for this long awaited attraction here! Aulani Resort Update And More! ** Our friend Joel shared some awesome new photos of Disney's Aulani construction site in Hawaii! You can see them on the Aulani Update Page. **Here's some new concept art of the "Ariel's Undersea Adventure" attraction coming to Disney California Adventure in 2011, then Walt Disney World's Fantasyland in 2012! ** Disney characters will stomp down Main Street, U.S.A. in a new parade at Disneyland Park. “Mickey’s Soundsational Parade” brings to life some of the most beloved melodies from Disney films with an explosion of thrilling rhythms and bold percussion. Live musicians will amplify the fun and colorful dancers will entertain guests to the tune of a syncopated drum line, twinkling cymbals, steel drums and more. Mickey Mouse and some favorite Disney characters will encourage members of the crowd to join the giant jam session. **When “Disney Junior–Live on Stage!” debuts in March 2011 at Disney Hollywood Studios, young guests will have a chance to see the stars of the brand new Disney Channel show “Jake and the Never Land Pirates” – plus favorites from “Mickey Mouse Clubhouse,” “Handy Manny” and “Little Einsteins.” The new production replaces “Playhouse Disney—Live on Stage!” The new show will be presented several times during the day. **Disneyland's Star Tours is scheduled to close on July 27, 2011. Here's a quick update from Disney and a new photo. **Disney has also announced some updated information and schedules for upcoming EPCOT Flower & Garden Festival, as well as events happening thru out Disney parks & Resorts for Summer 2011. **Work is progressing at a feverish pace on the next Disney resort to open its doors. See the Aulani Resort Page for updated concept art and a new aerial photo of the construction site as well as some updated information! Hong Kong Disneyland Celebrates its 5 Year Anniversary & Little Mermaid Progress! **In celebration of HKDL's 5th anniversary, guests will enjoy a brand new parade, fireworks show and special castle treatment of decorations and lighting effects! The year long event is titles "Celebration in the Air." See all the details and photos here of "Celebration in the Air!" **Here are some great Still Images from the recent video that Disney released showing some detail of the progress being made on the Little Mermaid Ride in Disney California Adventure! Disneyland And Walt Disney World Updates! **The amazing "Magic Memories & You" show that was unveiled in WDW's Magic Kingdom last week is now showing on Disneyland California's "It's a Small World" facade. Here's a preview video. **The rumor of "lap bars" being installed on the WDW Splash Mountain vehicles is now confirmed, installed and undergoing testing. More Disney Dream Media And A Little Mermaid Attraction Video! **We've added a Highlight Video of the Christening Ceremony and Another Video with a bunch of On-Board Photos as well as some interview clips with Bob Iger, Tom Staggs and Jennifer Hudson. This looks like an amazing ship!! **Here's a Brand New Video showing the progress inside DCA's Little Mermaid Attraction with a behind the scenes look! Additional Updates On Yesterday's News! **We've added more photos, details and a video of WDW's "New Fantasyland". **Star Tours 2.0 will open in Disney Hollywood Studios on May 20, 2011, just in time for Star Wars Weekends! **You can watch the Disney Dream Christening Live today at 10:30AM Eastern Time HERE! A Few Big Disney Updates & Confirmation On Fantasyland Changes! **WDW's Fantasyland expansion is now called "New Fantasyland" and the Seven Dwarfs Mine Train ride has been confirmed! Also as rumored, Snow White's Scary Adventure wi go bye-bye to make room for a Princess meet & greet now confirmed as "Princess Fairytale Hall and Goofy's Barnstormer will be updated as "The Great Goofini". More info and concept art HERE **New photos of the progress on Disney's Aulani Resort in Hawaii can be seen HERE including photos of the on-site model room. It's gorgeous! **Wild Africa Trek in Disney's Animal Kingdom is now officially open. Starting at $129 per person for guests 8yo and older, it is getting some great reviews **Disney has a job opening for a design/construction manager to head up 2 new resort hotels in Shanghi. Any takers? **Today Disney announced the new store locations which will be opening in 2011 across North America, Puerto Rico and Europe! You can find the complete list HERE. **The Disney Dream has arrived at her home in Port Canaveral FL! **Disney/Pixar earn top ranks in 2010 box office results! At #1 is Toy Story 3 earning $1.5 Billion and at #2 is Disney/Burton's Alice in Wonderland at $1.2B! **Disney set to release 15 films in 3D Blu-ray in 2011! Among them are Beauty & The Beast, The Lion King, Meet the Robinsons, Chicken Little, Bolt, G-Force, Tangled, Tron: Legacy, The Nightmare Before Christmas, and a bunch more! **Disney recently filed for a patent for interactive cakes. We'll have more on this in an upcoming DizTech column. **Disney has provided some updated information and new concept art for the new Art of Animation Resort currently under construction just across from Pop Century in Walt Disney World! **Disney Cruise Line has officially taken possession of the brand new "Disney Dream" ship from builders Meyer Werft in Bremerhaven Germany. The ship is set to arrive in her home port of Cape Canaveral on January 4th, 2011. **The new Muppet Movie has a new official release date of November 23, 2011! **The huge "California" letters that stand in front of Disney California Adventure park will begin their removal on January 4, 2011 as part of the park's billion dollar makeover. **Euro Disney and Pierre Vavances announced a major resort project near Disneyland Paris called "Les Villages Nature". You can read the complete Press Release and see some early Concept Art HERE! **Also, DirecTV customers rejoice! December marks the debut of a 3D Movie Channel featuring Disney Movies such as Meet the Robinsons, Chicken Little, Bolt and Disney's A Christmas Carol... Yes in 3D!!! Of course you need a 3D capable TV, but wow, it's really here. This is part of the DirecTV line up channels which includes ESPN-3D. **You can see the new Photos & Videos HERE! **Disney has officially announced the replacement of Walt Disney World's Pleasure Island with a new district called "Hyperion Wharf!" Check out the official announcement and concept art HERE! **Disney posted an updated construction photo of the Aulani Resort in Hawaii. It's really taking shape! **Disney Cruise Line provided the world with the first look at the Dream as she celebrated her Float Out from the Meyer Werft shipyard this past weekend. Here are some Photos and a Video of the event. 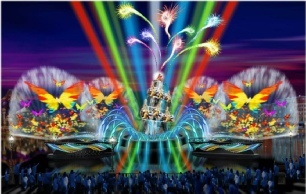 Disney also announced that the second new ship, the Fantasy, will have her maiden voyage on April 7, 2012. **Disney confirmed that production has been halted on the new video game "Pirates of the Caribbean: Armada of the Damned" which was slated for release summer 2011. **Disney has acquired the rights for animated feature "Kung Foo Magoo" (yes Mr. Magoo) and will air on Disney XD. **Anthrax drummer Charlie Benante has created a series of 9 Vinylmation figures & will be at Disneyland on 10/23 for a signing event. **Disney's Animal Kingdom has acquired a 1-year old giraffe, Willow, from the Virginia Zoo. **Disney Cruise Line has been rated the Number 1 Cruise Experience at the Conde' Naste Traveler Magazine readers' choice awards. The award was presented by Samantha Brown. 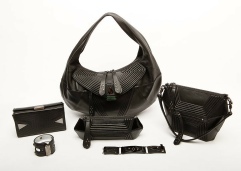 **Disney has unveiled a high-end Tron inspired collection of jewelry, shoes and accessories for women. Prices range from $90 to $2,600. A new Disney-Pixar "Cars Toons" short will have its TV premiere FRIDAY, OCTOBER 8 (9:30 p.m., ET/PT) on Disney Channel. The animated short, directed by Academy Award(R)-winner John Lasseter with Rob Gibbs co-directing and composed by Mark Mothersbaugh ("Devo"), will also be presented on Disney XD on Friday, October 15 at 7:27 p.m., ET/PT. In the episode entitled "Heavy Metal Mater," Mater is a rock star in a heavy metal band. He starts out in a garage band and rises to the top with his hit song, "Dad Gum." Lightning McQueen joins him on stage in the middle of a huge concert and they rock into history. This episode is available on the DVD collection. **Disney has released some more information about the upcoming Art of Animation Resort in WDW. **The Block party Bash parade in Disney Hollywood Studios, Florida, will have its last performance 1/01/11 and make way for a new Disney/Pixar parade slated to debut 1/16/11. **La Hacienda in EPCOT is now opening with ADR's available for 10/15/10. **Fist, as rumored, Space Mountain in WDW now has ride audio! Not on-board system such as Disneyland’s SM or Rockin’ Roller Coaster, but stationary speakers placed along the track that will synchronize sound as the train passes. **Along with the Disneyland Hotel renovation in CA, the 11th floor will be fitted with new themed 6-guest suites! The first announced is the “Big Thunder Suite” themed after Big Thunder Mountain. This 1,400 square foot, 2 bedroom, 2 bathroom suite will be equipped with a wet bar, table for 8, fireplace and a “living portrait” of a gold miner that will change throughout the day. Other suites will include the “Fairy Tale Suite”, “Mickey Mouse Penthouse” and “Pirates of the Caribbean Suite”. **New fairy “Vidia” is now appearing in Pixie Hollow in WDW’s magic Kingdom. The “fastest fairy” will co-star in the upcoming “Tinkerbelle and the Great Fairy Rescue”. **Toy Story Playland is now open in Disneyland Paris. 3 themed areas include new rides: “Toy Soldiers Parachute Drop, Guests are invited to join Andy’s Little Green Army Men in a simulated fall from the sky. Climb aboard Slinky Dog on Slinky Dog Zigzag Spin as our four legged friend chases his tail. And RC Racer will give a feel for what it’s like to zoom along a Hot Wheels half-pipe track.” **Disneyland CA now has self service stroller rental kiosks to help speed up the process. **Tokyo Disneyland, Disney’s first park outside of the US, has welcomed its 500 Millionth guest last week. **Disney makes history as the first studio to release 2 billion dollar movies in the same year. First reaching that mark was the live action Alice in Wonderland, and now Toy Story 3 becomes the highest grossing animated film and is still in theaters! **For more details of this recent news and other recent happenings, please listen to our free podcast. *Disney Parks and Resorts chairman Tom Staggs confirmed that the rumors of revision to the Fantasyland expansion are in fact true. As reported, Disney is looking to broaden the appeal beyond little girls. He stated the the princess meets will not be as announced, "but the appeal will still be there". Seems to kind of hint at a possible additional ride, but that's just my take. Read it here at the Orlando Sentinel. *A new Star Tours 3D trailer has been released which seems to be a possible que line video (think Adventures by Disney). You can check it out here. *Disney officially announced today that the MSEP will remain in WDW's Magic Kingdom. "Just as scores of you had hoped – we’re leaving the lights on and extending Disney’s “Main Street Electrical Parade” at Walt Disney World. By popular demand, the parade at Magic Kingdom Park will continue an open-ended run when “Summer Nightastic!” ends on August 14. It’s probably no surprise to hear that the parade has been one of our highest rated entertainment experiences at Magic Kingdom Park since returning in early June. It’s been an “overwhelming success,” according to Park Vice President Phil Holmes. And now, you’ll be able to continue cheering and humming “Baroque Hoedown." *In other news, the New Disney Store in Roosevelt Field Mall in NY has opened today with rave reviews. Next week, the UK will get its first new Disney Store at the Swansea City Centre. *Motherhood Maternity, the world's largest maternity retailer, today announced its collaboration with Disney Consumer Products on a new collection of maternity apparel and accessories available this summer. The introductory line will feature three of Disney's iconic characters: Mickey Mouse, Minnie Mouse and Winnie the Pooh. *A live action version of (one of my favorites) Mulan is reported to go into production this October in China. With Disney reportedly investing $100M, it is to be directed by Charles Russel (The Mask, Scorpion King), Wang Lee Hom to play General Li, Zhang Ziyi will both produce & star in the film. No word on a release date yet. *At this year's Comic Con, Disney presented the first Teaser trailer for Pirates of the Caribbean 4: On Stranger Tides. It was presented in 3D. You can see it here. *Also Monorails.org is reporting that WDW's monorail system is to get a mini expansion. Now don't get too excited because it is said to be just a new switch and spur enabling operations to run more efficiently. The spur will be utilized to park a mule (work vehicle) for much easier access when service is required and to park an express monorail during off hours. *Yesterday at Comic Con Guillermo del Toro and Disney's Rich Ross announced that a new (non comical) Haunted Mansion film will be created. *Disney & Target have teamed up to create a new line of "tween" clothing named "D-Signed". The first series of outfits will be based on Demi Lovato's "Sonny With A Chance" character. *Elizabeth Banks has been chosen to play (guess who?) in the upcoming live action romantic comedy film, "Tink"! *Disney is in talks with writer Zoe Green to develop a screenplay about Gargoyles for Lauren Shuler Donner and Jack Leslie to produce. *Disney is reported to be in talks to purchase software developer "Playdom", creator of social network games such as "Mobsters" hoping to further expand their mark in the gaming world. *On July 29,2010 the 2nd new Disney Store will be unveiled! This time on the East Coast of the US at Roosevelt Field Mall in Garden City, NY! *And finally, we have some new Aulani construction photos just released by Disney. We have a few new construction photos of Disney's Aulani Resort in Hawaii and The Black Pearl is in the water and almost ready for filming. Disney has announced that an agreement has been made to purchase software company "Tapulous", makers of popular iPhone games such as "TapTap Revenge. Other news reports that Disney may begin construction on the new Disneyland in Shanghai as early as November 2010. Sales for the new DVC Aulani Resort in Hawaii officially began today and is still on target for an August 29,2011 opening. You may begin making reservations on August 2, 2010. A new DVC sales office will open in Tokyo next month. Disney and Motherhood are teaming up to release a line of Disney maternity clothes. The Best Friend Pet Care Resort will be opening in WDW on August 27th promising to give any pet a 5 star resort experience. And Captain EO in EPCOT is in soft-opening and officially opens July 2nd! First NEW Disney Store Opens!!! Disney just celebrated the Grand Opening of its newly imagineered Disney Stores in Montebello, CA yesterday. From the looks of it, this seems to be a promising local destination to visit so a fanatic (like me) can get his or her fix of some Disney Magic in between Disney Park trips. Disney stated that they are planning to open 20 of these new and larger stores in major US and European markets by year's end, with more to follow. Other US locations slated for 2010 include: Freehold, NJ; Santa Monica, CA; Garden City, NY; Tampa, FL; San Diego, CA; San Francisco, CA; Dallas, TX; Chicago, IL and a 2-story store in Times Square, NY. Read the FULL Press Release with more details. New Star Tours 2.0 Details And More! Disney announced some new details about the new version of Star Tours as well as some new details about Carsland and The Little Mermaid's Undersea Adventure. New Disney Cruise Line Mini-Update! Disney announced that the final section of the massive new "Dream" cruise ship has been installed. See a Photo and Video of the current construction status by clicking here. New Disney Channel Coming To The US! Coming to the US in 2012 will be a Brand New basic cable station and on-line experience dedicated to preschoolers, ages 2-7. Disney stated: "Disney Junior will be bringing the parents of the child in the Disney experience of magical, musical and heartfelt stories and characters, both classic and new, while incorporating specific learning and development themes." Disney Junior will replace Disney's "SOAPnet" which currently reaches over 75 million US households and will feature a Spanish SAP feed as well as an HDTV channel. The Disney Junior brand will begin programming on other Disney affiliates during their preschool programming blocks before the actual channel goes live in 2012. Scheduled to be completed in 2012, the 3 towers will be renamed to Adventure, Frontier and Fantasy as their renovations and re-themeings are completed. The Neverland Pool will get a makeover and addition as well. A new water play area with 3 slides with the largest being 187 feet long, and the smallest being a 2-lane 19 foot kiddie slide. An additional 4 foot deep pool will be built between the renovated Neverland Pool and the new water play area. A new bar themed after the Jungle Cruise will be added to the pool area. And 2 new casual dining locations themed after the original Tahitian Terrace restaurant and the 50 era Disneyland Hotel. These restaurants and bar will replace the current Hook’s Pointe, Croc’s Bites and Bits, the Wine Cellar and the Lost Bar. Dow Jones is reporting that The Walt Disney Company is forming a joint venture with SK Telecom to launch Korean versions of the Disney Channel and Playhouse Disney Channel, both in standard and high definition, in South Korea. SK Telecom will hold 51% of the shares while Disney Channel International will hold the remaining 49%. "Anchored by Disney's much-loved characters and content for kids and families, the channels will air a significant proportion of locally produced, Korean-language programming," SK Telecom said. 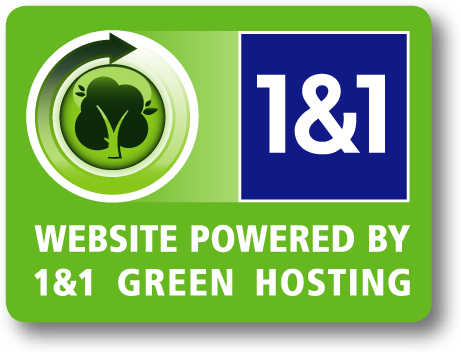 The channels are expected to launch in spring of 2011. And on the character front; with Marvel characters beginning to show up in Disney merchandising locations, we now bid a farewell to the Power Rangers as Disney has struck a deal to sell them back to original owner, Hiem Saban. Disney Released Some New Disney Store Info And Great News For Aladdin Fans! The new and improved Disney Store is on its way! Set to debut this summer at the first locations, it seems to be bringing back the magic of the old Disney Stores, along with some new technological goodies. Read the full press release along with a photo. And now, for you Aladdin fans (and me too), stating that they have received tons of requests, Disney has announced that California Adventures Aladdin Stage Show will remain for now!!! It is a top rate show that everyone should see! New Value Resort Announced Today! This morning, Disney officially announced that they will be constructing the new "Disney's Art of Animation Resort". This long rumored resort will be built on the "other half" of the "Pop Century" property which construction was put on hold after 9/11. The resort will be in the Value category and will consist of 864 standard hotel rooms and 1,200 suites. These suites will be a living room and bedroom accommodating 6 guests. Some themed areas will include The Little Mermaid, Finding Nemo and Cars. 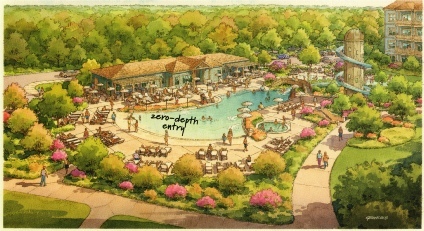 The new resort is slated to open in 2012. New Toy Story 3 Characters And Game Changes To Toy Story Mania! As we suspected, the amazing design of the Toy Story Mania attraction in Disney's California Adventure & Hollywood Studios enables imagineers to modify or change parts of the attraction with little or no down time. Just yesterday in a press release, Disney announced that TS3 characters will be added to the attraction and there will be some modifications. Replacing "Bo Peep's Baaa-Loon Pop" will be "Rex & Trixies Dino Darts", "Hamm & Eggs" will now be hosted by Hamm & Buttercup (new unicorn with heart shaped nose) and a bunch of new characters will appear with Woody & Jessie in the "Prize Sequence". We can expect to see these changes to appear in May (no exact date given). After its extremely popular return to Disneyland California, Captain EO not only returns to Tokyo Disneyland on June 1, 2010, but just Officially Announced, EO returns to Disneyland Paris June 12, 2010 and then... EPCOT on July 2, 2010. Because it originally existed before Hong Kong Disneyland's time, we do NOT expect to see him appear there. So there you have it, as we reported in our rumors page (special thanks to a special mouse in the house), The Captain returns. Now remember, this is a limited time engagement of about 1 year, so love it or hate it, you have a limited time to check it out. Now, what happens after Captain EO departs? Keep your eyes on our rumors page and well let you know as we hear anything. Disney Park Attendance Up In 2009! According to the Orlando Business Journal and the Themed Entertainment Association, all 6 US Disney disney parks had an increase in attendance in 2009 and once again hold the top 6 slots in US theme park attendance. Disney also holds the top 8 positions worldwide. Typhoon Lagoon and Blizzard Beach hold the top 2 slots in world wide water park attendance. 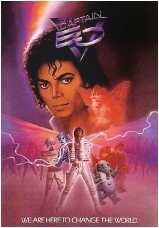 Captain EO and Big Screen Announcements! Disney and Pixar have announced that a sequel to Monsters Inc. is indeed in thhe works with a release date of November 16, 2012. But first from Pixar, we will be seeing "Brave" (formerly the Bear and the Bow) on June 15, 2012. A new Muppet movie is getting the green light with a release date in 2011 which will be directed by James Bobin and we will see many of our favorites plus a new character, "Walter". Also in production is a new Winnie the Pooh feature which will be hand drawn, a new Tim Burton stop motion animated film "Frankenweenie" is in the works (yay) and "John Carter of Mars" in in the works over at the Pixar Studios. Now for the Captain EO part... The Oriental Land Co., in a press release, stated that Captain EO will return to Tokyo Disneyland for a limited run on July 1, 2010 thru June 30, 2011. After the enormous popularity of its return to California, we are still anxiously awaiting announcements for Disneyland Paris and EPCOT. We'll keep our ears open. Updated Video And Date For Disney's World Of Color! Disney's newest night time extravaganza, "World of Color" will officially open on June 11, 2010 and there will be a press event on June 10th. This date has kind of been assumed on the internet buzz, but they make it official in this new video released today. Updated Construction Photos of Disney's Aulani Resort in Hawaii! Disney's Aulani Resort in well into construction and is really taking shape. We've updated our Aulani information page with some brand new construction photos. Special thanks to DizFanatic Insider Donna G. for this update! New Disney Cruise Line Information! Disney has released some new information on the Disney Dream cruise ship this morning. A new French restaurant named "Remy", inspired by Disney/Pixar's "Ratatouille", will be located on the top deck. For the complete press release along with renderings and a menu sampling, CLICK HERE! World of Color Updated New Stop-Motion Animation Coming! We've posted a new video about the exciting new World of Color nighttime extravaganza coming to Disney's California Adventure. And as another piece of news, Henry Selick, the stop-motion expert who created Nightmare Before Christmas, James & the Giant Peach & Coraline, has signed a multi-film contract with Disney/Pixar to create at least 4 new stop-motion films under the Pixar label. This is exciting news as this is a fantastic art form which I feel is quite underutilized. We'll pass on more information as it becomes available. Updated Information About The Disney Dream Cruise Ship! Disney has released a few new details about the Disney Dream cruise ship set to sail in 2011. Beauty And The Beast Coming To Blu-ray! EPCOT Mexico Restaurant Concept Art! Disney has released some official artwork of the expanded Cantina de San Angel Restaurant re-opening later this year in the Mexico Pavilion of EPCOT. Other authentic counter serve Italian dishes will also be available. Disney is stating that there will be 400 seats of outdoor and indoor seating and there will be a great place for viewing IllumiNations: Reflections Of Earth as well. The authentic Mexican menu is expected to be expanded, and I'm sure you find me there enjoying all it has to offer. Click on the photo for a larger version. Disney has released some official artwork of the soon to be opened Pizzaria located in the Italy Pavilion of EPCOT. The Patina Group, who currently run the Tutto Italia restaurant in EPCOT will serve pizza from a wood burning ovens with dough made with water imported from from a source where the composition most resembles that of Naples. Other authentic counter serve Italian dishes will also be available. Disney is stating that they have no official name for the new 300 seat restaurant, but we'll keep you posted as we here more. Click on the photo for a larger version. EPCOT Monorail Line Getting TRON Legacy Overlay! We'll soon be seeing the EPCOT Monorail trains wiz by with a Light Cycle graphic scheme to promote the long, long (did I say long?) awaited TRON sequel! Love it or hate it, TRON geeks of the world (including me) are rejoicing. Well maybe not for the monorail overlay, but TRON 2.0! This just enhances our excitement. New Disney Premier Annual Passport Announced! The cat is out of the bag, the rumored North American all-parks pass, the magical $700 card, will get you unlimited admission to all Disney North American theme parks. This includes Disneyland, California Adventure, Magic Kingdom, EPCOT, Disney's Hollywood Studios, Disney's Animal Kingdom, Typhoon Lagoon, Blizzard Beach, DisneyQuest, ESPN Wide World of Sports, and Oak Trail Golf Course. 3 Magazine subscriptions (Mickey monitor, Back Stage Pass & Family Fun) free parking and green fees! Sounds like allot of dough, but if you frequent the East & West coast parks, then it seems like a great deal. No word yet on DVC or AAA discounts. 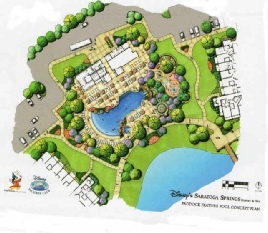 New Pool Coming To Disney's Saratoga Springs Resort! Disney has announced that the 1,100 square ft. pool in the Paddock section of the Saratoga Springs Resort will be replaced with a new 3,300 square ft. zero-depth-entry feature pool complete with a 146 ft. slide, 1600 square ft. wet play area, 11,000 square ft. deck area and a new quick serve dining location. Opening in 2011, this will be a welcome addition to a section of the resort which is quite a distance from the resort's current feature pool. Click the photos for a larger version. New Effects Coming To Hollywood Studio's Tower OF Terror! In a press conference today, Al Weiss announced the "Summer Nightastic" event at the Walt Disney World Resort in Florida. All 4 parks will be doing something special. Disney's Hollywood Studios park will have an upgrade to the Tower of Terror. This upgrade will include new lighting effects and a brand new drop sequence. New Summertime Fireworks Coming To Magic Kingdom! As part of the "Summer Nightastic" event, the Wishes fireworks spectacular will be temporarily replaced with a new limited run show. Disney's press release stated: "The night sky will explode in vivid colors and brilliant visual effects as whimsical music fills the air." The show will begin in early June. Upgraded Main Street Electrical Parade Coming To Magic Kingdom! As part of the "Summer Nightastic" event, the Main Street Electric Parade will return to Florida in early June with new upgraded LED lighting, an upgraded sound track, the recently added Tinkerbell float (yay!) and brand new Pinoccio and Snow White floats!!! New Version of Fantasmic Coming to Tokyo Disney Sea! The In celebration of Tokyo Disney Sea's 10th Anniversary, The Oriental Land Company has announced that a new version of Fantasmic will replace the currently showing "BraviSEAmo" spectacular in the Mediterranean Harbour. BraviSEAmo is scheduled to go dark on November 13, 2010 to make way for the construction of the new 20 minute show opening in April, 2011. OLC stated that the show will cost 3 Billion Yen. Disney Announced Name of Hawaii Resort! The highly anticipated Disney destination resort currently under construction on the Hawaiian island of O'ahu now has an official name and a dynamic new Web site offering an inside look at the project. The resort's name – Aulani, a Disney Resort & Spa, Ko Olina, Hawai'i – reflects the company's deep commitment to celebrating the islands' rich history and traditions. 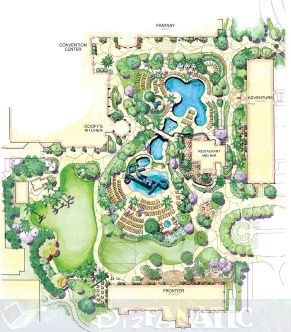 Plans call for the first phase of the resort to open in fall 2011. Read more information along with new photos and a video fly-thru HERE! Disney Announced A New Sponsor! Although the terms have not been released, Stanley Works, the tool company based in Connecticut, has become the “official tool provider” of Walt Disney World. Logos can now be seen on signage on construction walls. A Mac Tool truck will be at the Lights Motors Action garage for the mechanics’ use. Stanley tools will also be places in the line of EPCOT’s Test Track. Disney Announced A New High Tech NYC Flagship Disney Store! If your saddened by the closure of the 5th Avenue World of Disney store in NYC, wipe those tears away because coming in the Fall of 2010 will be that new, Steve Jobs inspired, interactive Disney Store in none other than Times Square! Housed on 7th Avenue & 45th Street will be an interactive princess castle, a kid's theater, special events and activities, and special guest appearances. This will be a prototype store to test many new groundbreaking concepts which will then be applied to more than 300 Disney Stores worldwide over the next several years. Am I excited; you bet! More details will be posted as they become available. Disney Announced That ESPN Will Launch 3D TV Channel In June! If you own a new 3D ready HDTV, you'll be able to enjoy the world's first 3D Television Station in June. It's debut on June 11, 2010, the world will be able to view the World Cup Soccer match and 85 other live 3D professional sporting events during ESPN-3D's first year. The network will only broadcast the 3D events, so other times the station will be off. No word on whether there will be an additional cost for a subscription, or if it will be pay-per-view at this point. You will need your 3D ready HDTV and special electronic glasses to view. More information to come soon. Read more here. On another note, Disney has posted an overview video update on the DCA expansion here.